Credible is a free online loan brokerage service perfect for anyone with a high credit rating looking to consolidate debt, finance a major purchase, or open a business. ​​Credible is an online loans broker that provides fast and free initial responses, ideal for anyone who needs a loan and doesn’t know where to start. It speeds up the process of hunting for a suitable personal loan by sending your application to multiple providers at the same time and running a soft credit check (which doesn’t affect your credit rating). Credible returns up to 6 preliminary loan offers so that you can easily compare your options and then contact the lender directly to complete the loan process. Customers with good credit scores who wants to consolidate their debt. Credible requires a credit score of around 680 and up to qualify for their service, but the lowest APR of 4.99% makes it a potentially cost-effective way to consolidate all debt payments into one. Unlike many loan broker services, Credible is transparent about its fees. Although it offers a range of APRs from different lenders, the lowest rate of 4.99% is competitive. 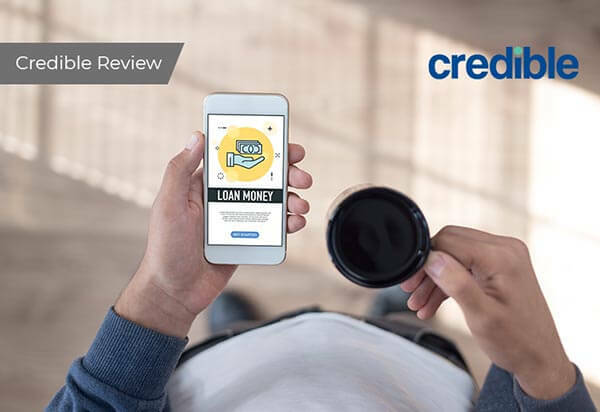 You can use Credible to check up on loan offers for different amounts without harming your credit rating, which is useful if you aren’t yet sure how much you will need. With loan amounts ranging from $1,000 to $100,000, you can get useful loan offers whether you need to redo your home or just bridge a small gap till your next paycheck. As a loan broker, Credible doesn’t extend specific loan terms. The lowest APR for personal loans via Credible is 4.99%, but it can go up to 35.99%. Loan amounts stretch from $1,000 to $100,000, making it a very flexible site for borrowers who aren’t yet sure what they need. Again, repayment terms vary from lender to lender. The maximum repayment term via Credible is 84 months, with some terms as low as 24 months. This is a relatively short repayment term, which could be a problem for borrowers who want to spread their payments out further so as to pay less each month. ​Credible has a reputation for being trustworthy with your personal details, but they don’t bear any responsibility for the loan companies that might make you an offer. It’s up to the borrower to check out the prospective lending company thoroughly to make sure that they feel comfortable with their policies and approach.